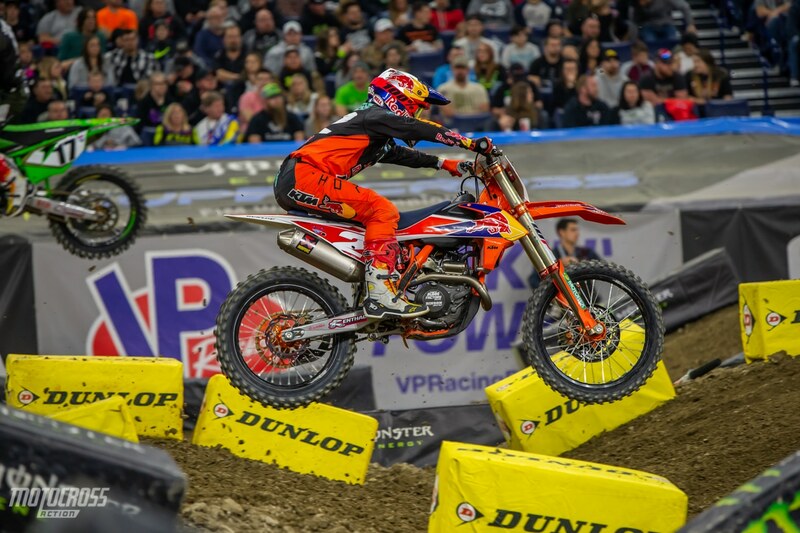 It’s hard to believe that it took Marvin Musquin eleven races to get his first win of the season in Indy. Round eleven was another exciting one. 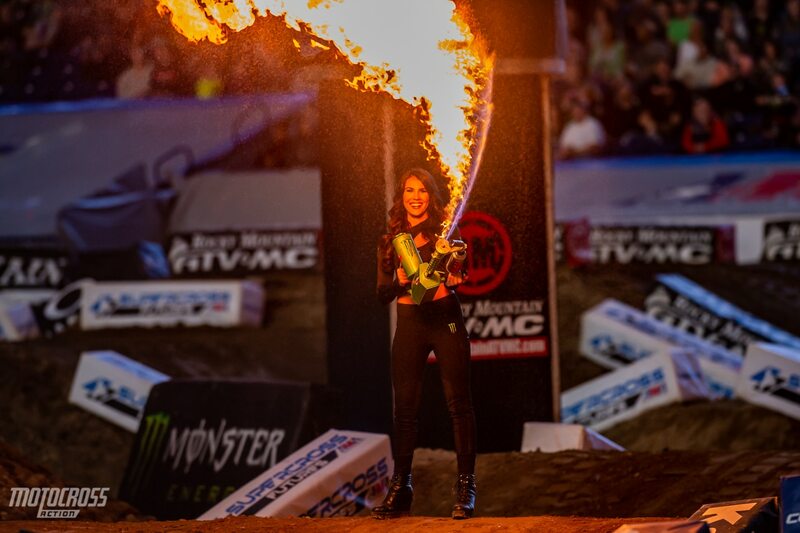 The 2019 Indianapolis Supercross answered some of our questions and it also brought new ones to the surface. 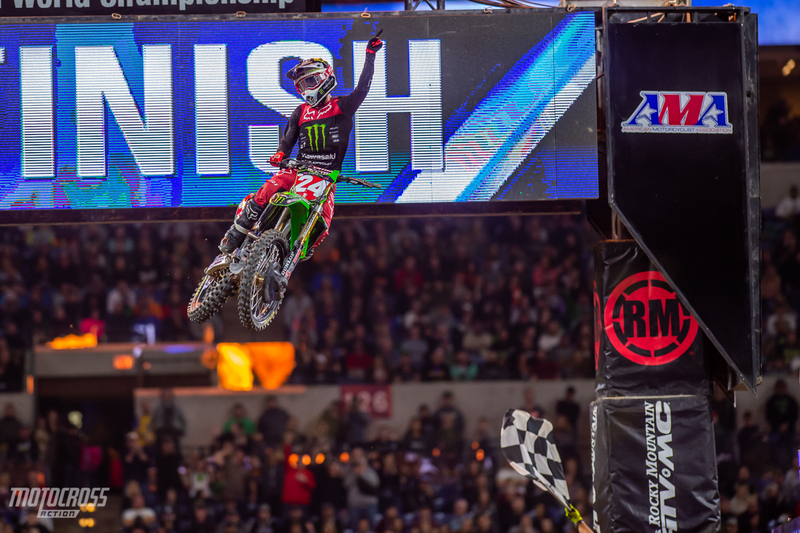 Marvin Musquin was finally able to get his first win of the year, while Eli Tomac seemed to struggle again. 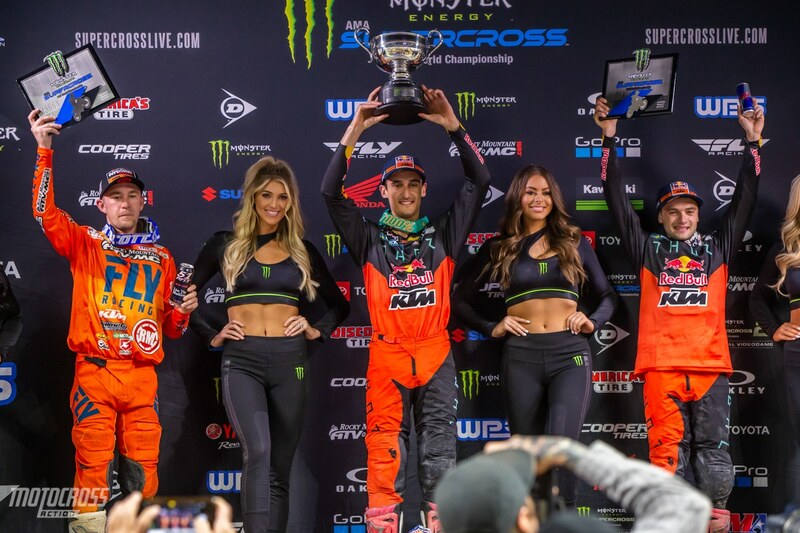 Blake Baggett got on the podium for the fourth time and Cooper Webb pushed through mistakes and even stalling his bike to finish on the podium in third. 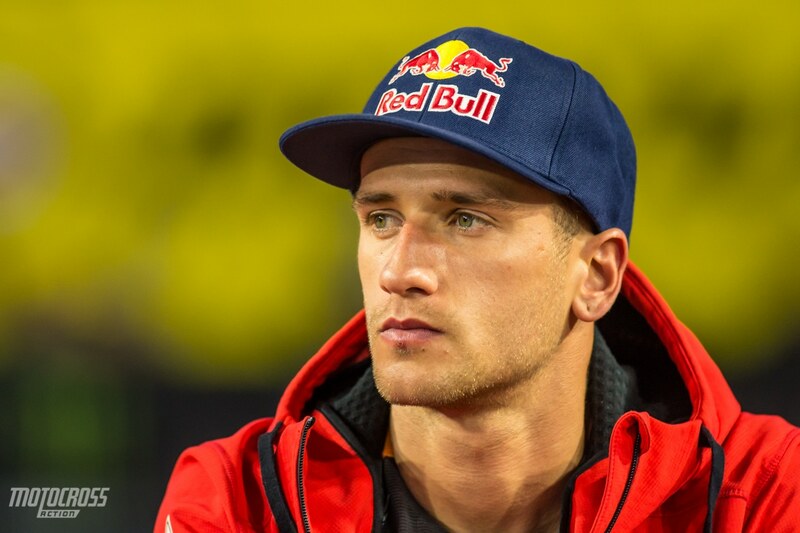 Ken Roczen has raised many questions as he started in eighth place and unlike Roczen style, he stayed there for the full main event and finished eighth place. In a Honda press release Ken said that he’s been feeling tired during the week and he doesn’t know why. 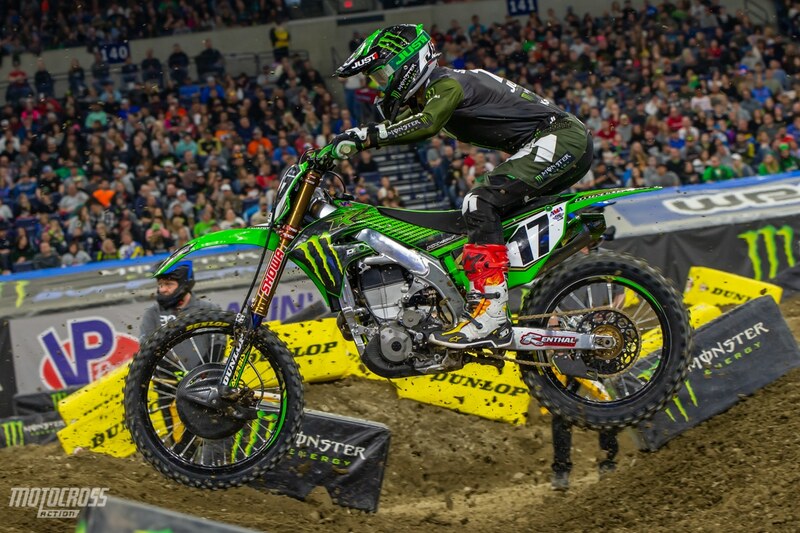 In the 250 East main event it was Austin Forkner who again dominated the class. 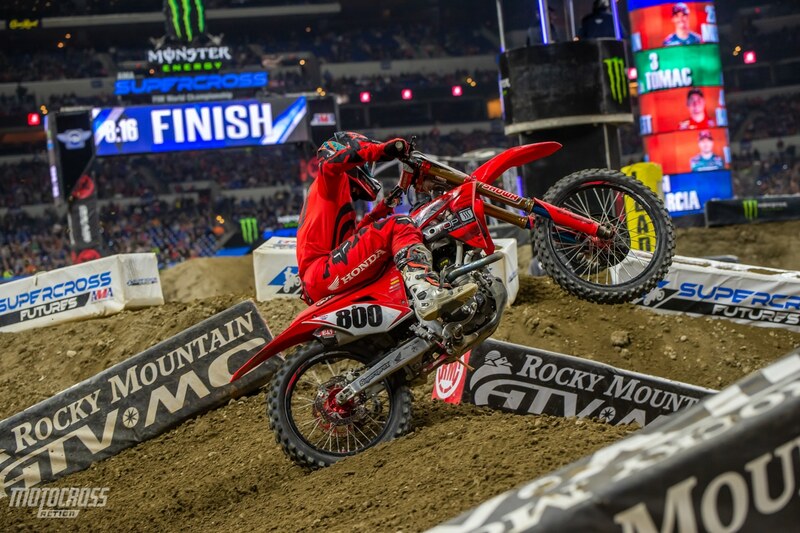 Even after going down and being ran over in his heat race, Austin could still not be denied the win. 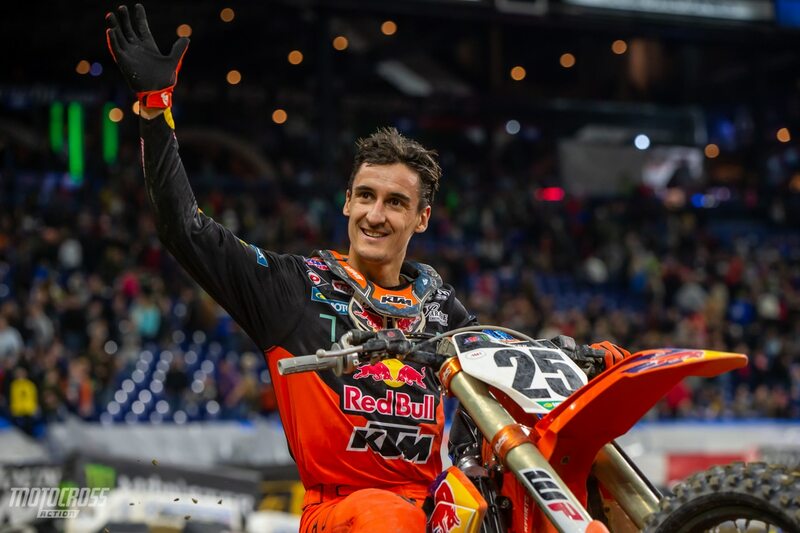 Marvin Musquin came into Indianapolis with some extra confidence after winning by over 29 seconds at the same race just one year ago in the 2018 Indy round. 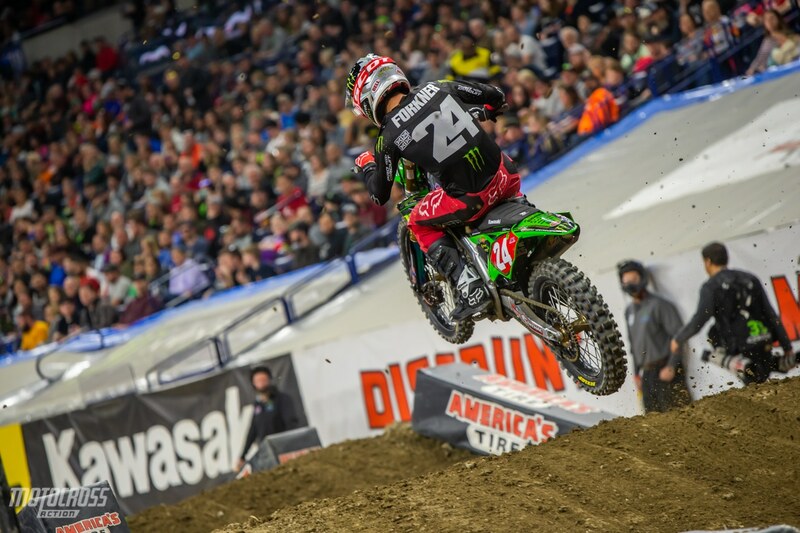 This year he only won by only 2.4 seconds over Blake Baggett. 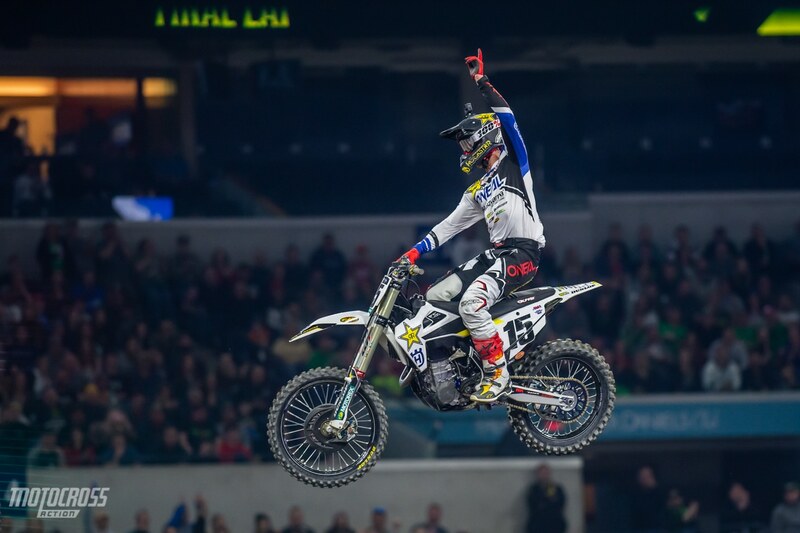 But no matter how big the lead was, he still celebrated his signature celebration trick, the heel clicker. 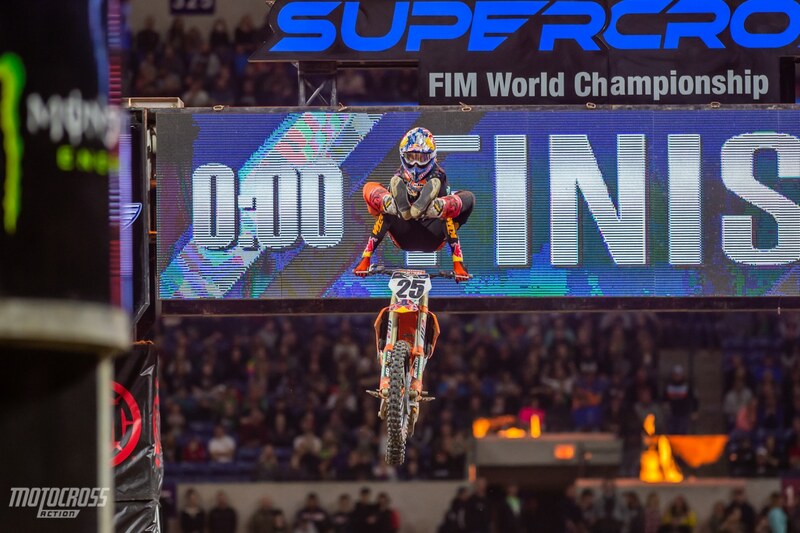 “A true RC” @cooperwebb2 😂😂 #supercross #supercrosslive #braap ….. I’ve read some comments from people who feel Cooper should have been penalized for this. The AMA rule is that if a rider goes off track, they must re-enter as soon as safely possible without gaining an advantage. The moment Cooper clears the last tuff block he has “re-entered the track”. From the freeze frame you can see that he is still behind Eli after he has “re-entered the track”. He also did not gain an advantage for the split second he was off the track. Once he is clear of the tuff block he is back on the track and can continue to race for position. That’s how I see it. I don’t sponsor either of these athletes, but I have total respect and appreciation for both of them and every one that lines up every weekend. Cooper Webb’s mistake almost turned into a crash but it then turned into a pass. 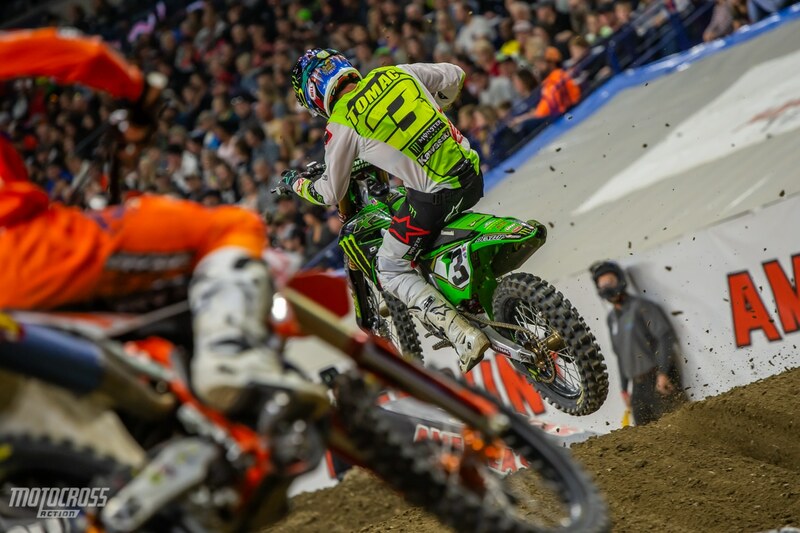 Eli Tomac must have been freaked out when he saw an orange front fender coming up the inside of him. Pete Fox offered his opinion on the situation. Did he cut the track or not? 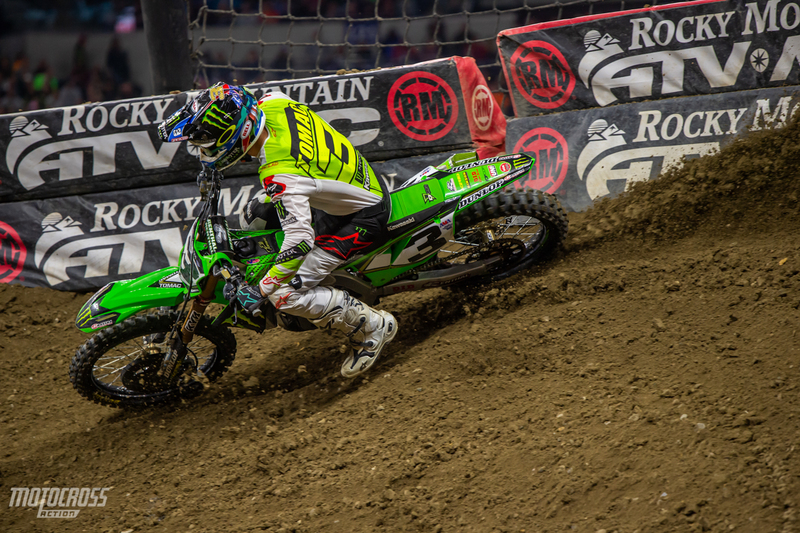 Eli Tomac’s fourth place in Indianapolis is going to make his Championship hunt even harder than it already is. He now sits 21 points behind Cooper Webb. The points deficit isn’t impossible to make up, but the mental aspect will be the hardest part for Eli to overcome. 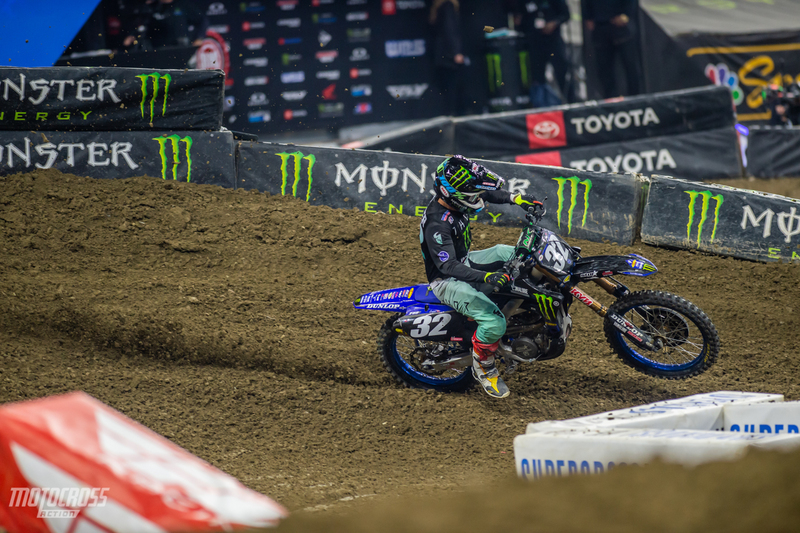 After watching Cooper Webb pass him and Marvin Musquin and Blake Baggett pull away from him, it might be difficult for Eli to regroup. 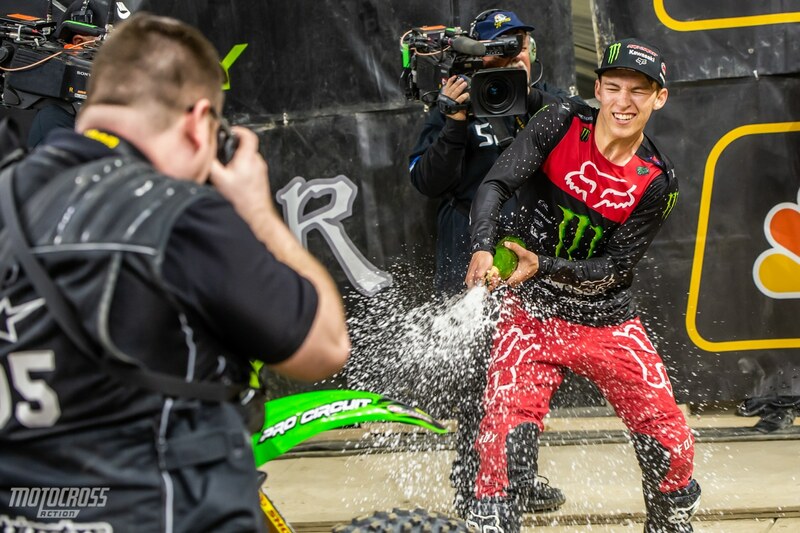 After five wins this season, Austin Forkner is getting comfortable popping champagne bottles, but his mechanic Olly Stone is still the only one drinking them. 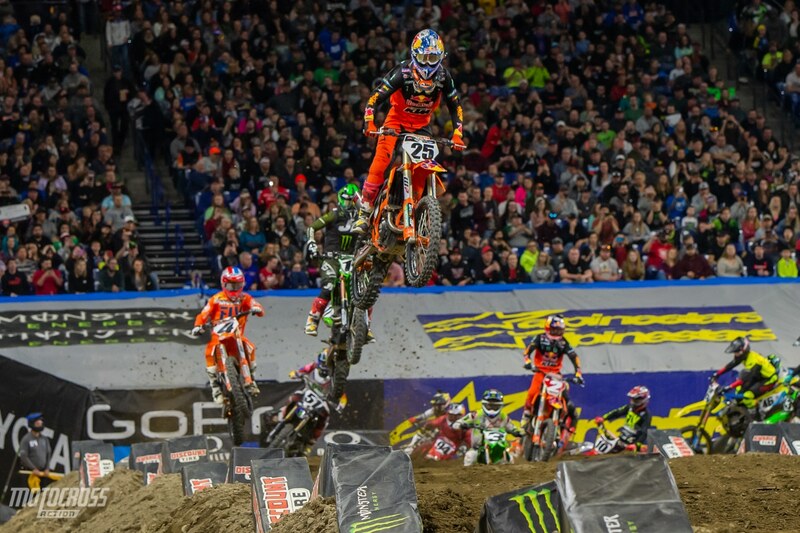 Marvin Musquin grabbed the holeshot and led every lap of the 450 main event. 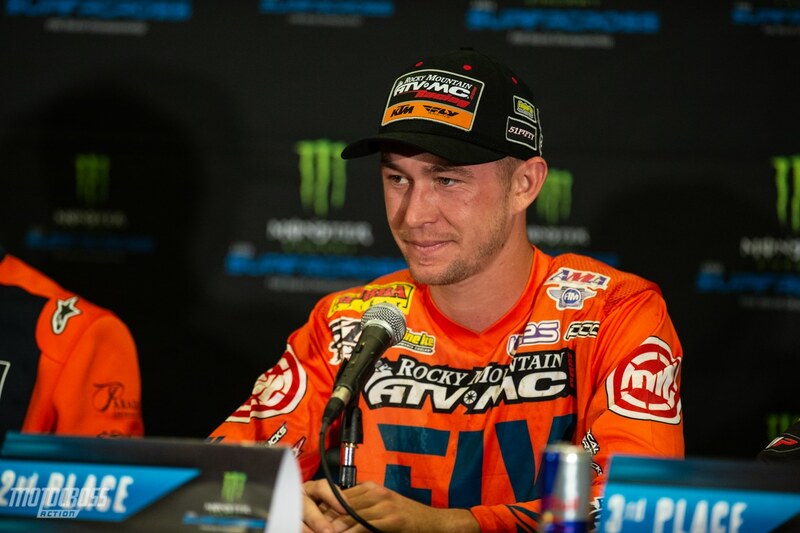 For the fourth time this year Blake Baggett landed on the podium. 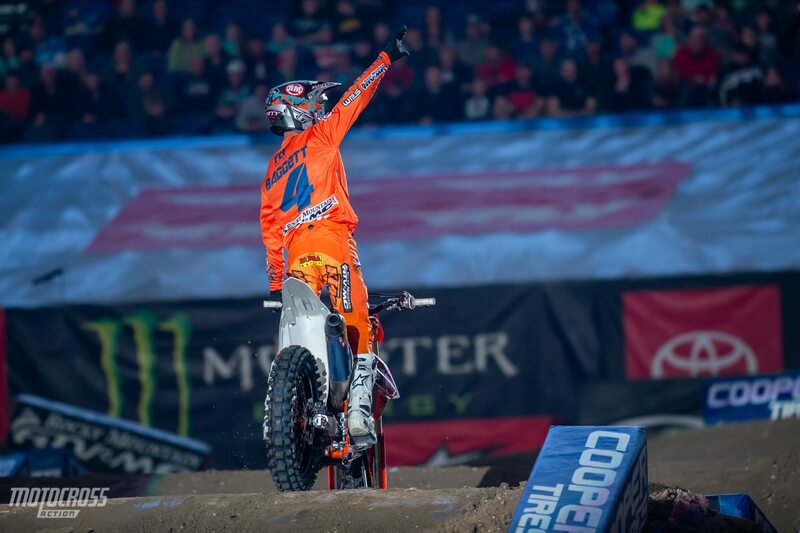 His second place finish made for the third KTM podium sweep of the year. 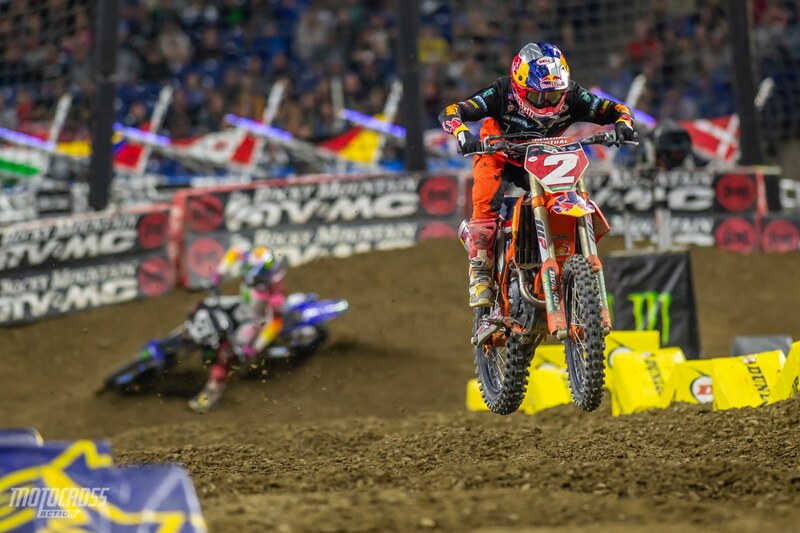 With his eighth place finish in Indy, Ken Roczen lost a substantial amount of points to Cooper Webb. Now he sits 27 points behind the current points leader in fourth place. 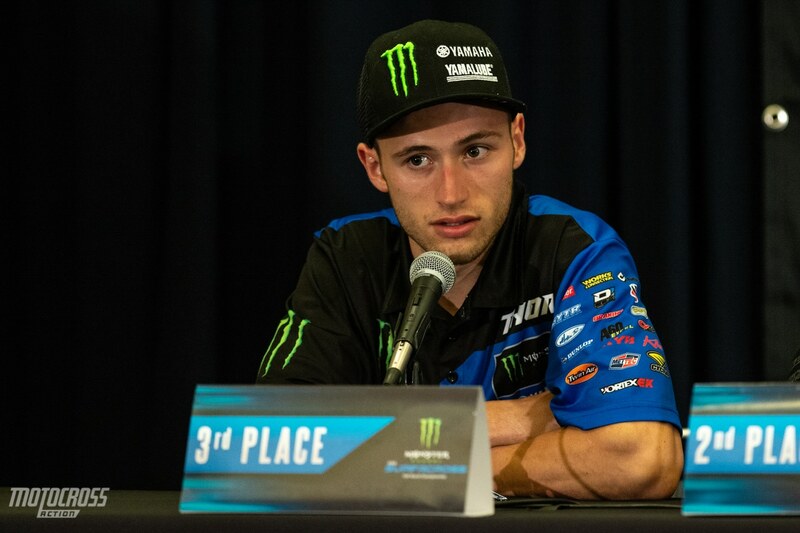 When asked about what he’ll do to continue to improve now in the middle of the season Blake Baggett joked around in the post-race press conference about putting a video camera on top of his 90ft. internet tower at his ranch so that he can spy on Cooper Webb and Marvin Musquin. Marvin and Cooper both train at the Baker’s factory which is only three miles away from Blake’s ranch in Florida. 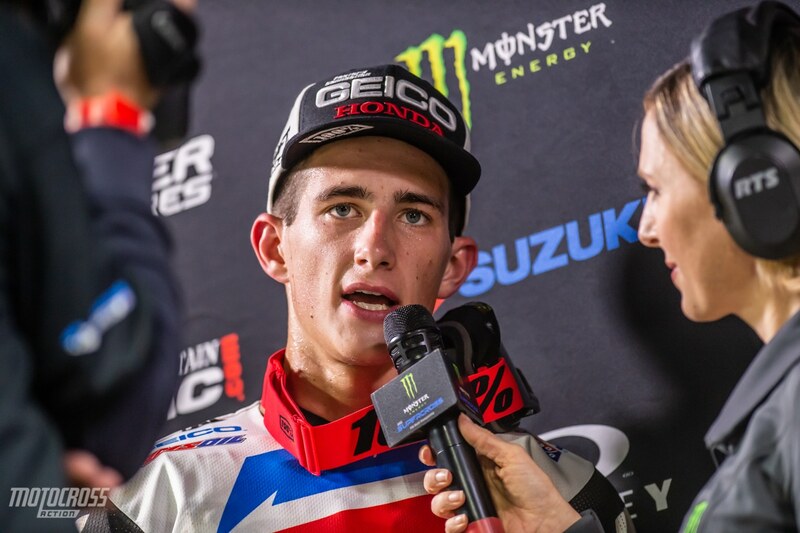 Marvin Musquin when asked about how he was able to get the win: “I needed to really execute it good and get a good start. The riding has been pretty good, like I said I just need to hit my marks, get a good start and be in the right position right away and I can make it happen. I’m pretty sure I could’ve done it earlier with better starts. But those guys race really hard. I’m looking forward to next weekend and the rest of the season. 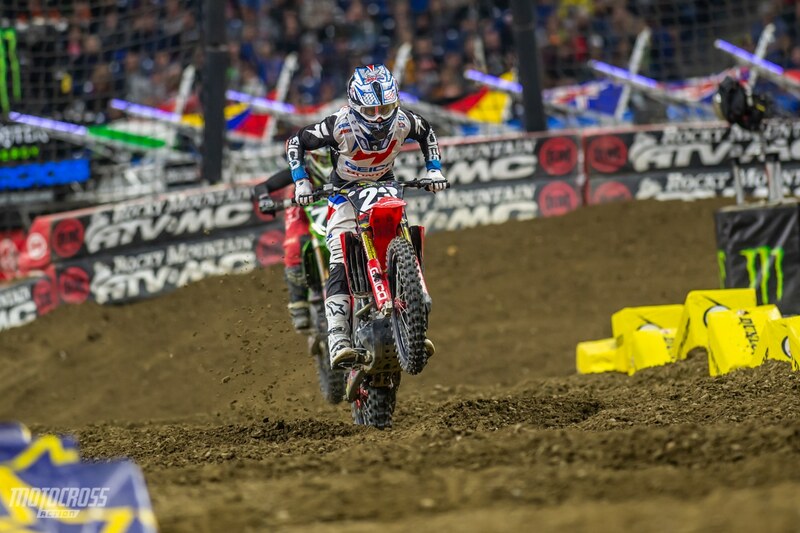 Eli Tomac qualified fourth, placed fourth in his heat race and fourth in the main event in Indianapolis. 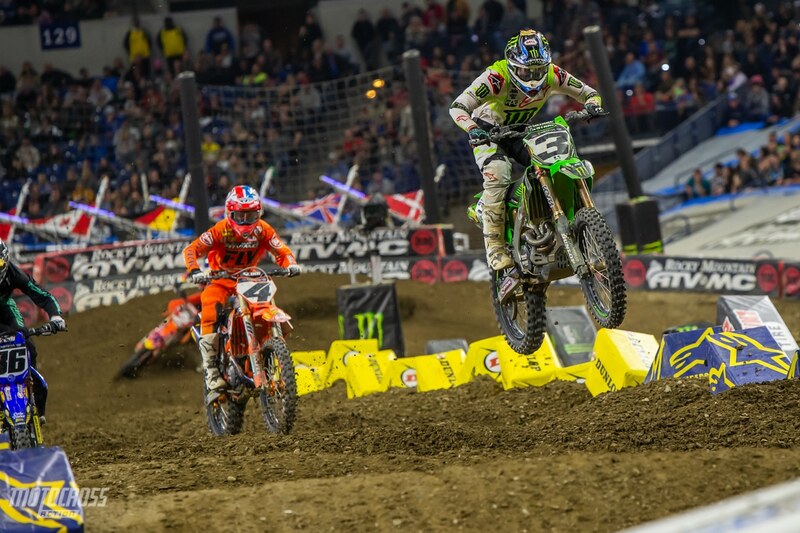 The dirt in Indy is known to be soft and break down quickly. There were two sets of whoop sections and as the night show went on they continued to break down more and more. Because they were so chewed up, most of the riders were jumping through the whoops, instead of skimming on top of them. Mike Alessi grabbed the holeshot in signature Alessi style in his heat race. 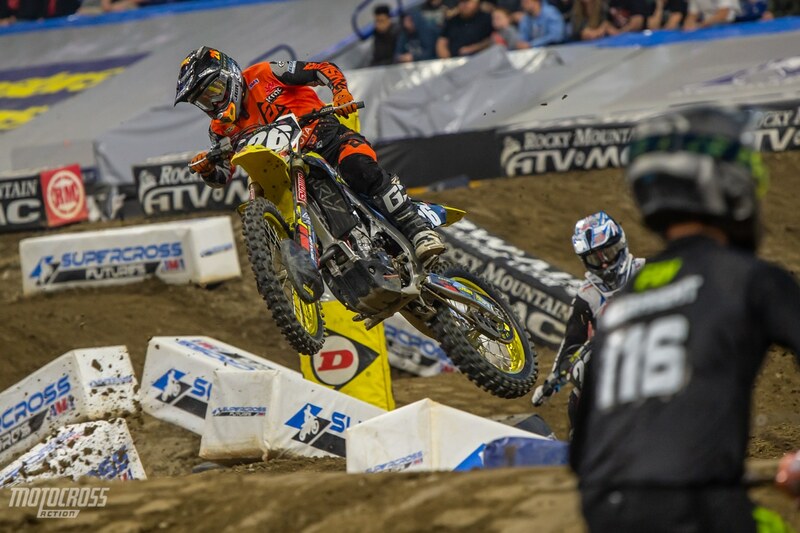 He led for half of the first lap before Dean Wilson block passed him and sent Mike off the track. 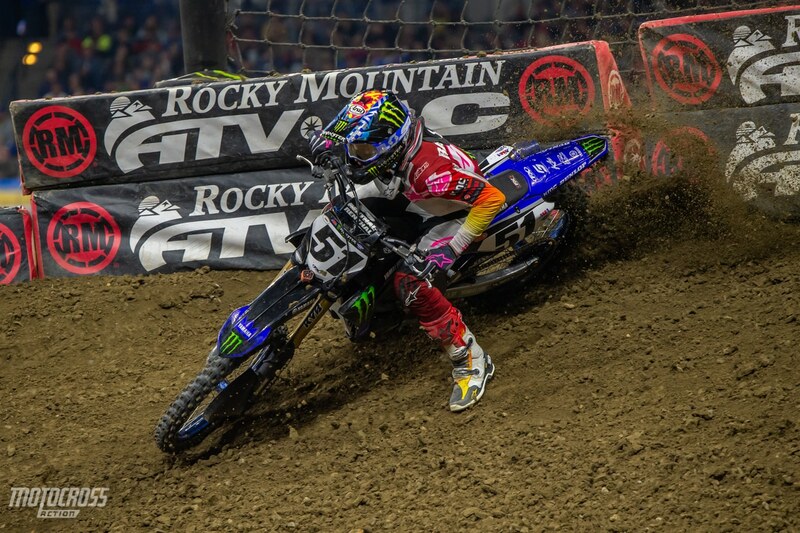 It was good to see Justin Barcia back at the races after missing two rounds due to a concussion suffered in practice. He finished a solid fifth place. Dean Wilson leads Marvin Musquin and Eli Tomac through the whoops and takes the win in the first 450 heat race of the night. 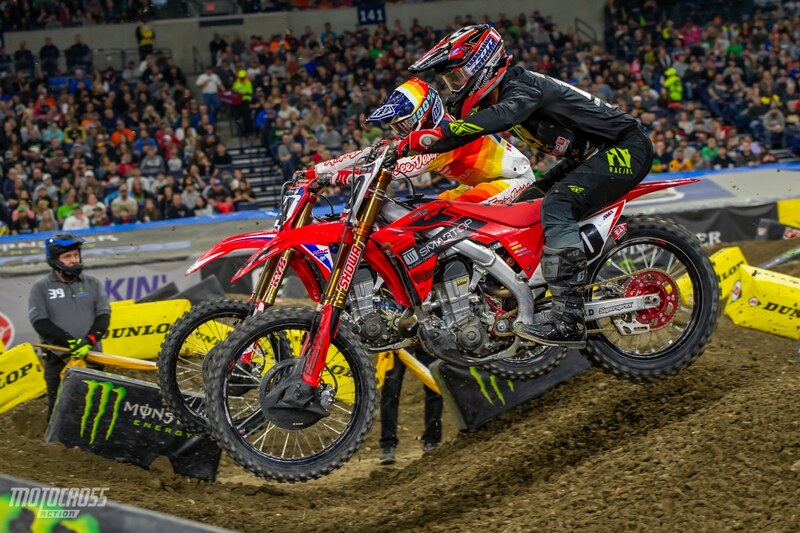 Justin Brayton and Cole Seely riding side by side through the whoops. 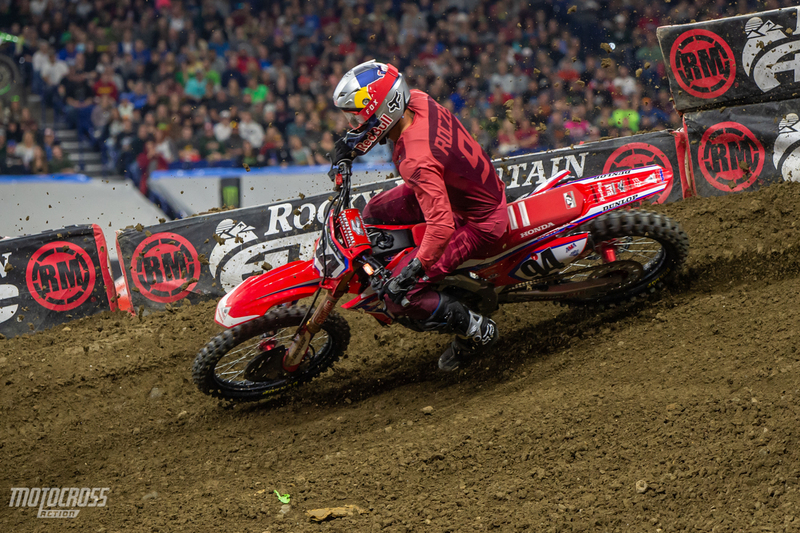 Brayton finished tenth while Seely finished twelfth in Indy. For complete points click here and full results click here. 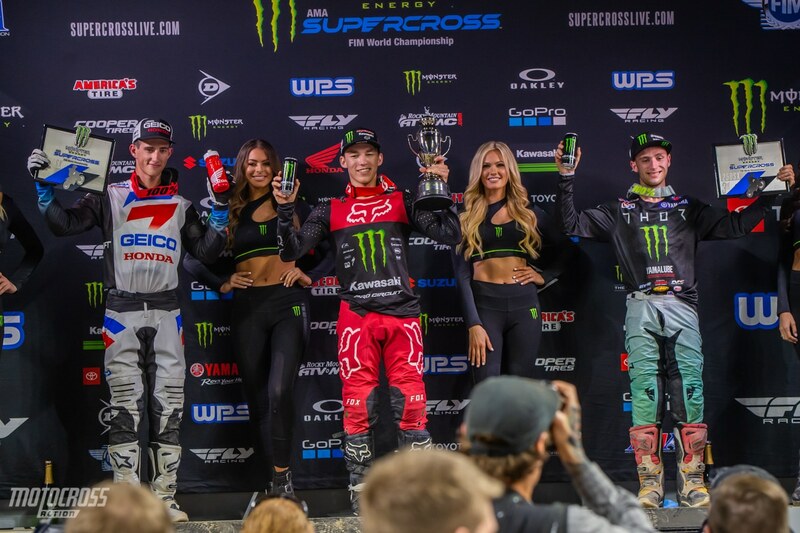 For the third time this season Austin Forkner, Chase Sexton and Justin Cooper landed on the podium together. 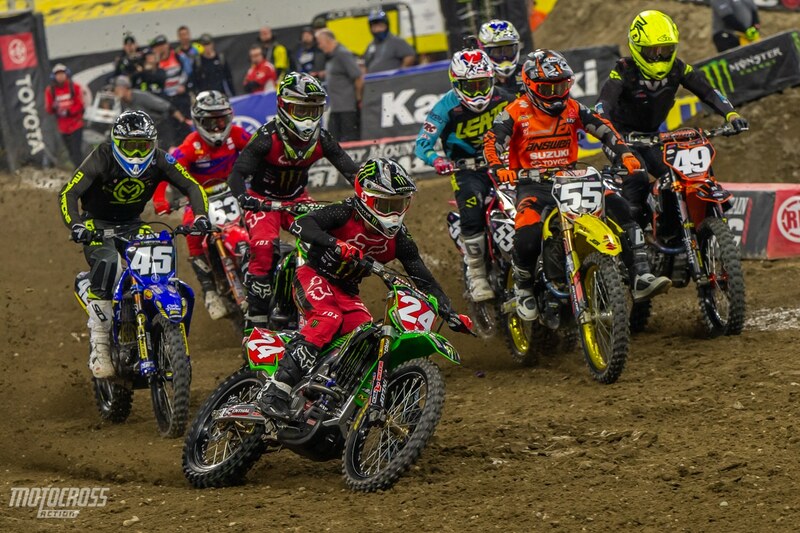 After block passing Mitchell Oldenburg on the first lap of the main event, this was the only view that the rest of the 250 field had of Austin Forkner. 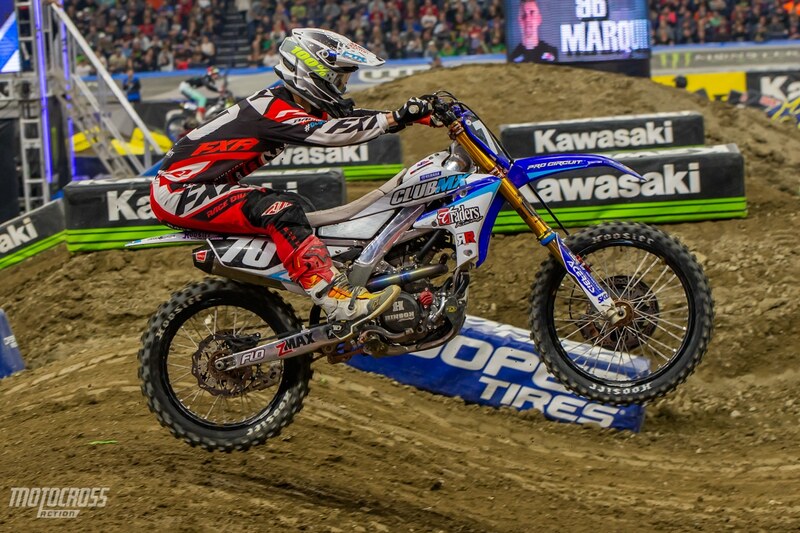 After six races Austin has won five main events and finished third once in the 250 East/West shootout. Justin Cooper got bumped off the track in the first turn and had to fight his way through the pack for the entire main event. He charged from fourteenth place after lap one, all the way through the pack to finish on the podium in third. Mitchell Oldenburg recently became a new Dad only two days before the race in Indy. He rode well in the main event and passed his way from sixth to third, but his pace wasn’t fast enough to keep his teammate behind him. With one lap to go Justin Cooper got around Mitchell for the final spot on the podium. Mitchell said via Instagram: “Close but no cigar.. Thought I could cruise it in for third and didn’t realize fourth was that close to me.. Live and learn! 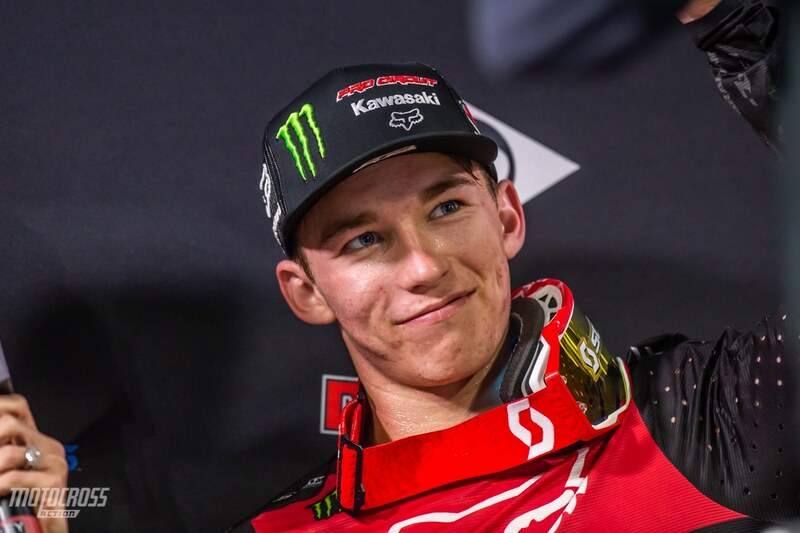 Austin Forkner is getting comfortable winning. In his post race TV interview he mentioned with a smile that he’s in Championship mode now. 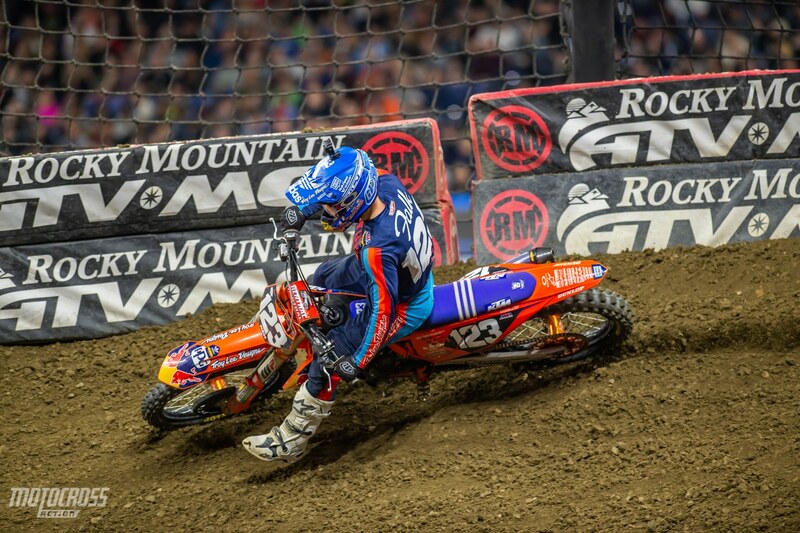 After getting caught in the first turn pile up Alex Martin could only make his way up to ninth place. Another second place has Chase Sexton sitting second in the point standings, 26 points behind Forkner. 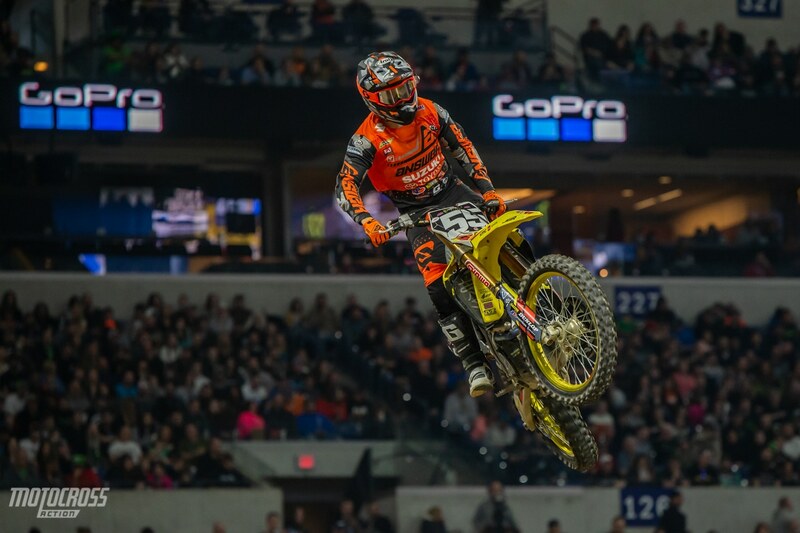 Indianapolis was Mitchell Falk’s second race of the season, an injury put Mitchell on the sidelines for four rounds. 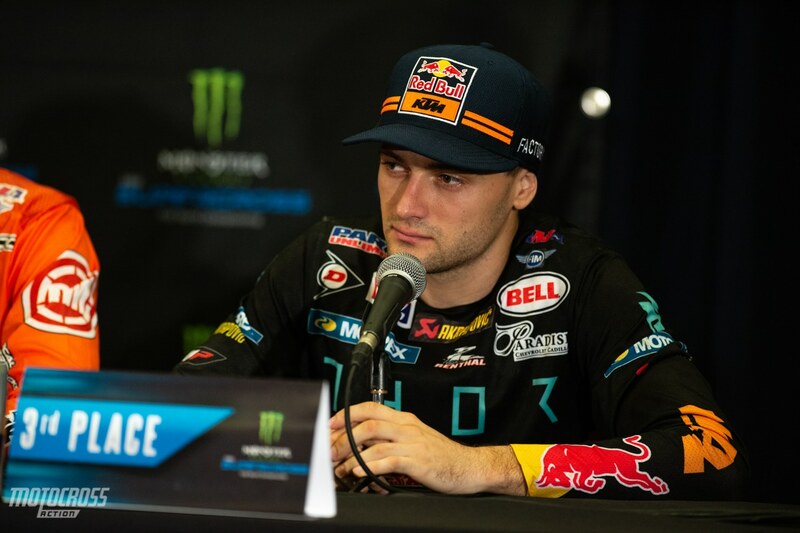 We are happy to have him back at the races and the Troy Lee Designs Red Bull KTM team must be happy also as he is the only rider at the East Coast races currently. His teammate, Jordon Smith is still healing up from a wrist injury. Kyle Peters rode well in the second 250 heat race of the night. 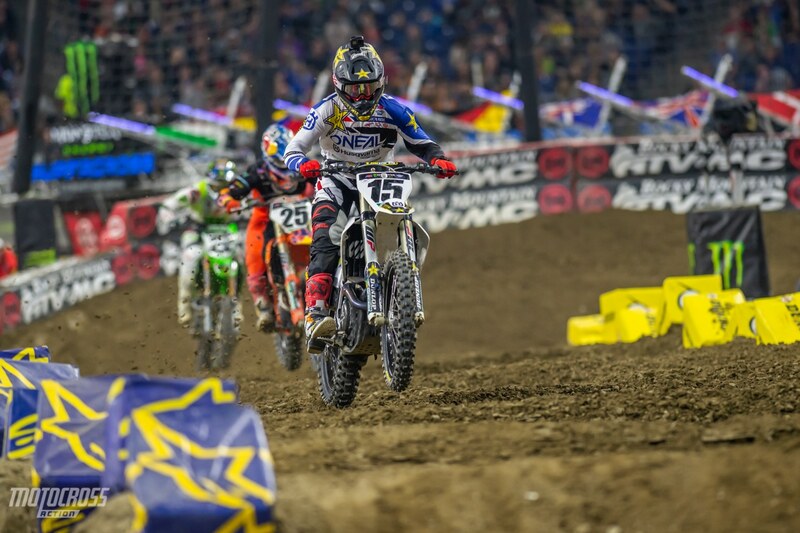 He led up until two laps to go when Martin Davalos and Justin Cooper passed him and he finished third. 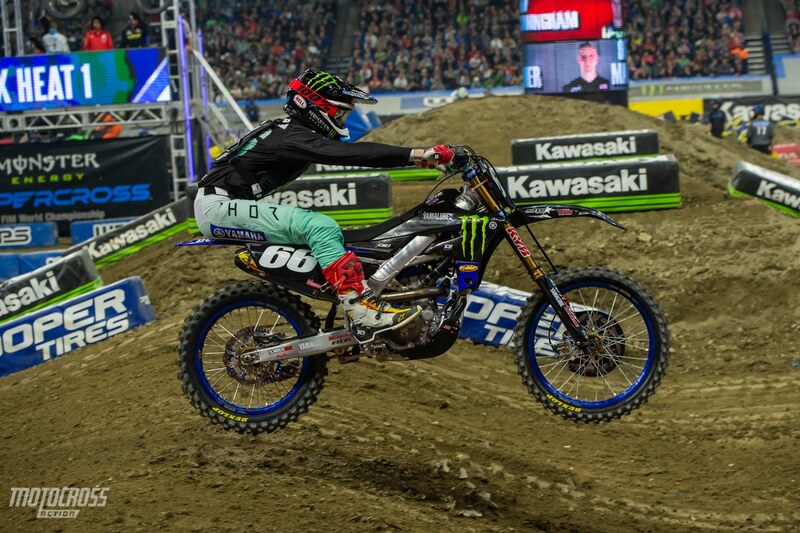 Kyle also rode exceptional in the main event, he finished a season best sixth place. 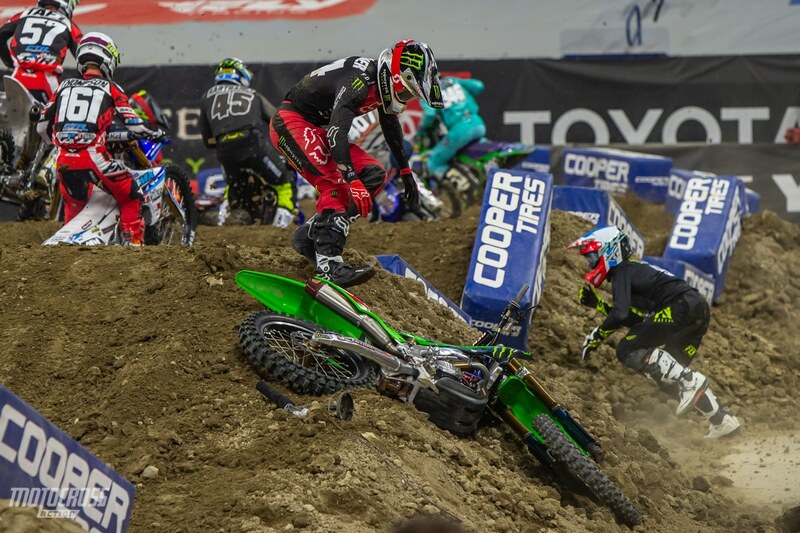 Part 1: Austin Forkner goes wide open into the 90-degree first turn to grab holeshot in the 250 heat race. Part 2: Austin carried too much momentum into the first turn and overshot the corner. Jumping onto a tough block, Austin went down and then got ran over by Lane Shaw who also went down after running over Austin’s body. 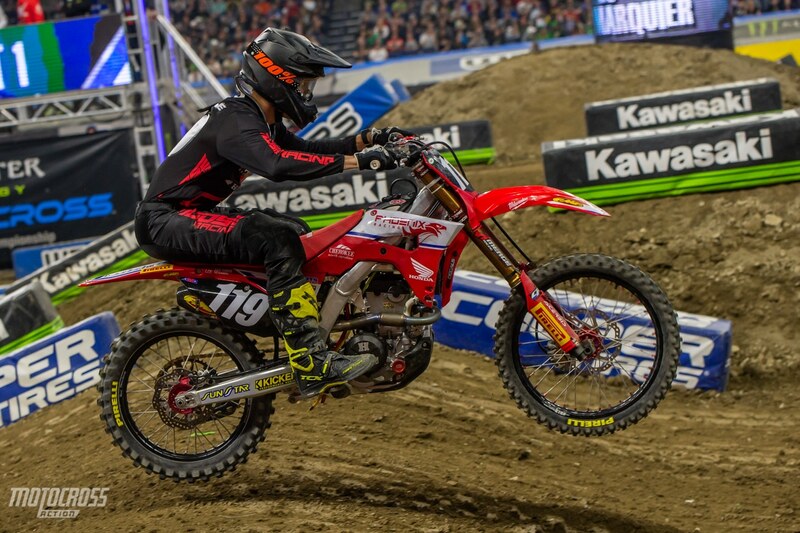 Isaac Teasdale made his Supercross debut only two weeks ago in Atlanta. 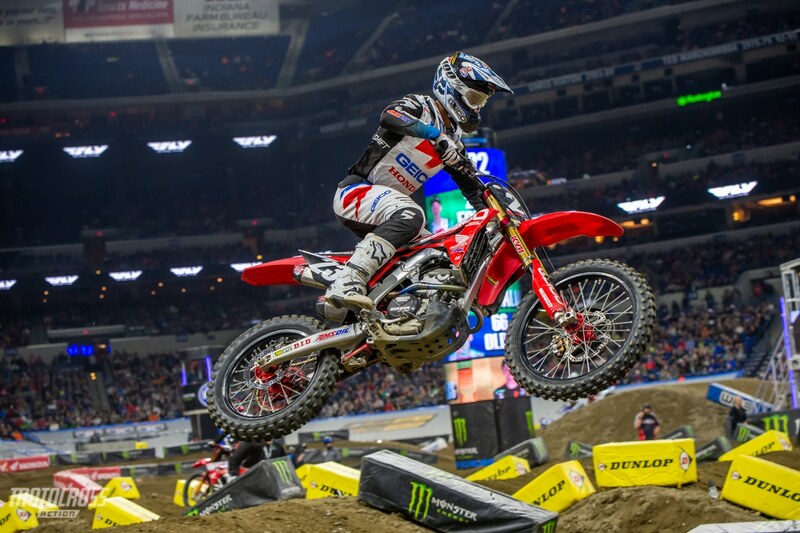 After missing the main events in Atlanta and Daytona, Isaac qualified for his first ever Supercross main in Indianapolis on his Phoenix Racing Honda. 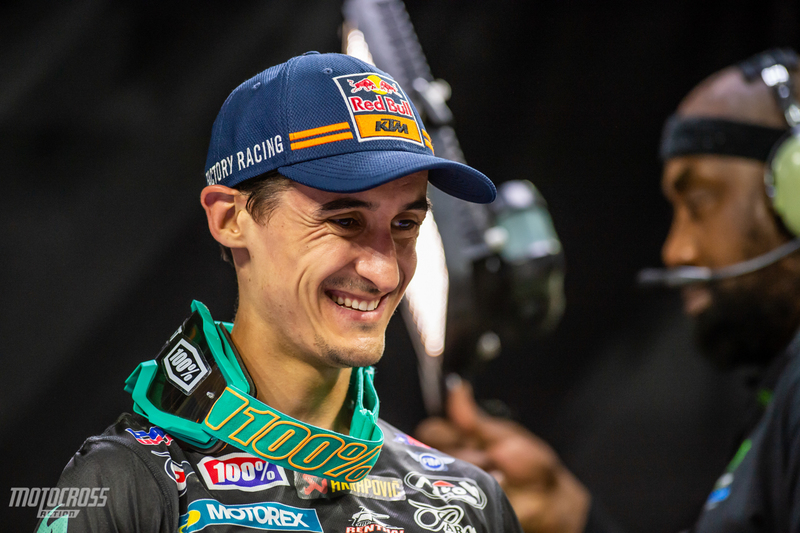 Josh Osby had a great night in Indy, he qualified tenth, placed eighth in his heat race and even after being taken out in the 250 main event, he still finished eighth. 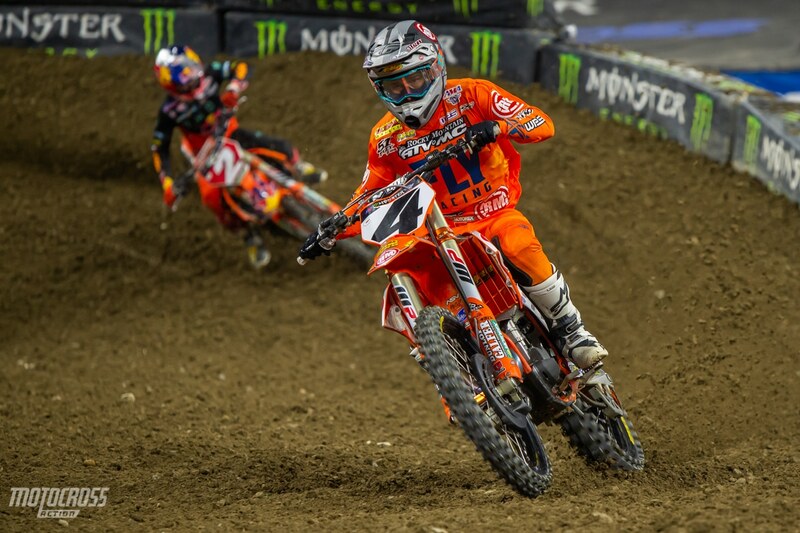 Thanks for reading Motocross Action’s The Aftermath, click the link below for all of our coverage from the 2019 Indianapolis Supercross.